The UN rights boss has said the Myanmar Government should stop claiming that the Rohingyas are setting fire to their own homes and laying waste to their own villages. "This complete denial of reality is doing great damage to the international standing of a Government which, until recently, benefited from immense goodwill," said UN High Commissioner for Human Rights Zeid Ra'ad Al Hussein while addressing to the 36th session of the UN Human Rights Council in Geneva on Monday. He called on the Myanmar Government to end its current cruel military operation, with accountability for all violations that have occurred and to reverse the pattern of severe and widespread discrimination against the Rohingya population. "I strongly urge the authorities to allow my Office unfettered access to the country," he said. In Bangladesh, he encouraged the Government to maintain open borders for the Rohingya refugees, and urged the international community's support in helping the authorities receive and better assist the refugee population. "Turning to the domestic situation in Bangladesh, I appreciate the Government's constructive engagement with my Office, and I would like to continue to work with the authorities to address the range of very serious human rights issues in the country," said the rights boss. He deplored current measures in India to deport Rohingyas at a time of such violence against them in their country. Some 40,000 Rohingyas have settled in India, and 16,000 of them have received refugee documentation. The Indian Minister of State for Home Affairs has reportedly said that because India is not a signatory to the Refugee Convention the country can dispense with international law on the matter, together with basic human compassion. 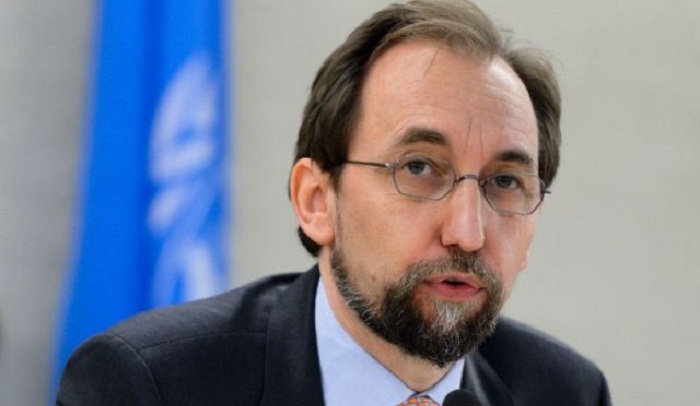 "However, by virtue of customary law, its ratification of the International Covenant on Civil and Political Rights, the obligations of due process and the universal principle of non-refoulement, India cannot carry out collective expulsions, or return people to a place where they risk torture or other serious violations," said the UN HR chief. In Myanmar, another brutal security operation is underway in Rakhine State – this time, apparently on a far greater scale, Hussein said. In less than three weeks over 300,000 people have fled to Bangladesh, three times more than the 87,000 who fled the previous operation. Many more people reportedly remain trapped between Myanmar and Bangladesh. "The operation, which is ostensibly in reaction to attacks by militants on 25 August against 30 police posts, is clearly disproportionate and without regard for basic principles of international law," Hussein said. He said they have received multiple reports and satellite imagery of security forces and local militia burning Rohingya villages, and consistent accounts of extrajudicial killings, including shooting fleeing civilians. "I am further appalled by reports that the Myanmar authorities have now begun to lay landmines along the border with Bangladesh, and to learn of official statements that refugees who have fled the violence will only be allowed back if they can provide proof of nationality”. Given that successive Myanmar governments have since 1962 progressively stripped the Rohingya population of their political and civil rights, including citizenship rights – as acknowledged by Aung San Suu Kyi's own appointed Rakhine Advisory Commission – this measure resembles a cynical ploy to forcibly transfer large numbers of people without possibility of return, he said. Last year Hussein warned that the pattern of gross violations of the human rights of the Rohingya suggested a widespread or systematic attack against the community, possibly amounting to crimes against humanity, if so established by a court of law.